Monaco by Stanford are excited to attend the London Classic Car Show next year at Excel in London, from the 15th - 18th of February. We will have two brand new demos on display giving you the opportunity to experience the comfort and luxury inside a Monaco. Having previously attended The London Classic Car Show as visitors we know that it's a great event, and we are looking forward to looking and experiencing all the things on offer just as much as the visitors to the show. 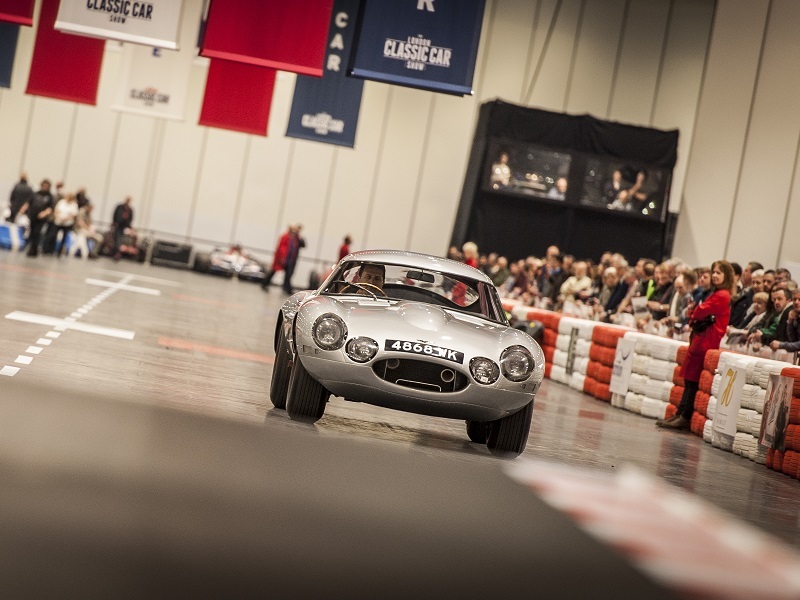 Held at Excel this is a big show and includes the Historic Motorsport show which is a must for Motorsport fans. Motorsport component and accessory manufacturers/retailers, specialist engineers, fabricators, engine builders, technology providers plus race/rally car preparers, builders and restorers as well as rally and race organisers and competition car dealers will all be there in the Historic Motorsport show. Highlights of the show will include the classic car runway, the getaway cars homage, car club section and Icon award. The classic car runway will give visitors the opportunity to view and hear the classic cars driving along the specially created runway, and view an array of classic cars parade up and down. There will be many of the top classic car clubs under one roof, learn all you need to about these clubs and the resources they can provide you. Plus see which British motor racing hero will be awarded the Icon award, previous years have seen Adrian Newey and Jacky Ickx celebrated. We all love those dramatic scenes in the movie when the villan or hero's try to escape in a super stylish getaway car. Well you can take a look at a collection of getaway cars from the movies at the London Classic car show, and of course we have to bring our own getaway car! The 1969 MK1 Ford Transit, used in the film The Bank Job as a getaway vehicle. However our getaway vehicle has to be one of the most comfortable around, we converted the interior into a comfortable chill area with speedboat style seating, TV, coffee machine, fridge and sink. But of course we think the star attraction of the show will be our 2 brand new Monaco's a V-class and Sprinter. Both will have premium features installed and it is the perfect opportunity to experience the Monaco comfort. Sit down and recline in the VIP seating, experience the Bose surround sound, crystal clear picture on the TVs, movie selection on the Apple TV, or close the electric blinds and take a little break from the show. Make sure you visit us in front the the runway and get your tickets from the London classic car show website.